Pings are a lot helpful if something relevant links to you but what if you start pinging yourself; isn’t it a bit annoying? It feels so weird to ping oneself, why would anybody wish to ping their own previously published posts? – Especially when there are so many better hyper-linking options available (think about ‘smart links’, ‘related posts’, etc.). 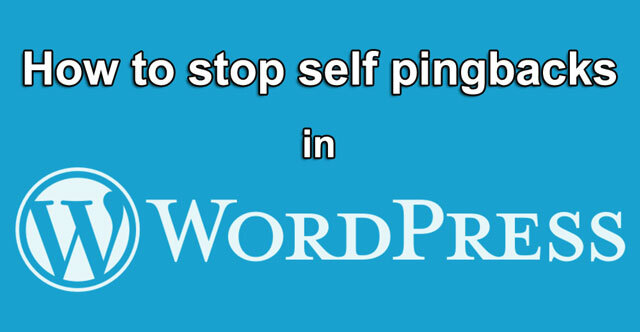 If you have the pinging option enabled, WordPress generates self pings each time you link to your own posts. If you are you just tired of the self pings and want to opt out of it, here is the solution. Once you have this code in your functions.php file, save it by clicking on the Update File option. Great, you are done!